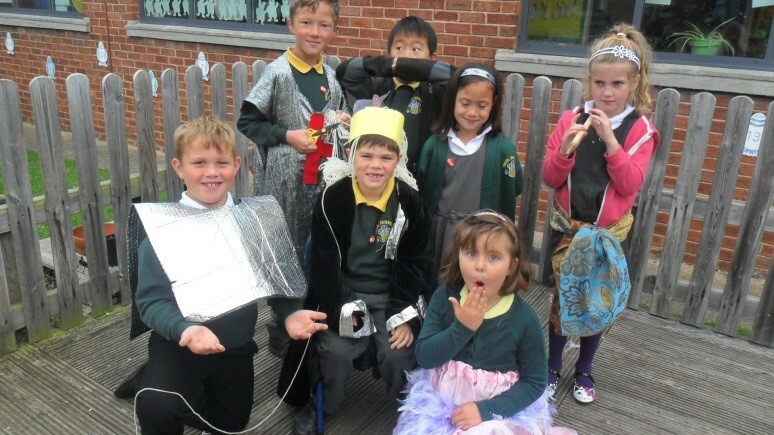 Year 2 – Ysgol Penmorfa, Prestatyn Buy School Uniform Online! 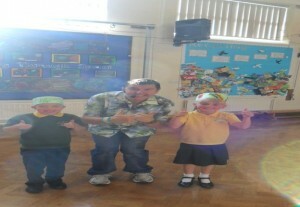 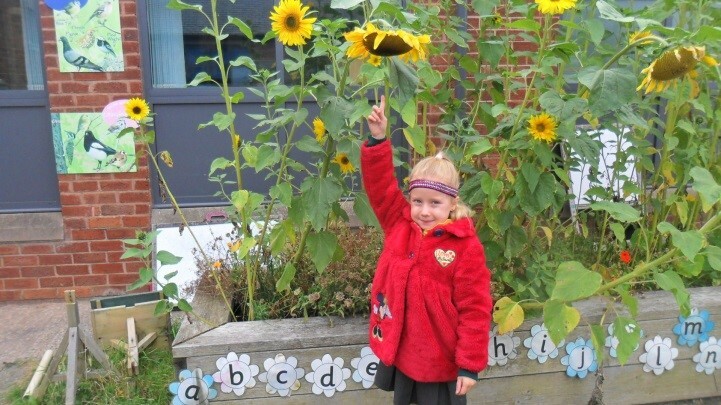 Mrs Roberts, Mrs Hambridge and Mrs German welcome you to the Year 2 page on our school website! Each half term we will be sharing news, photographs, special events and achievements as well as providing information on the work planned for each half term. 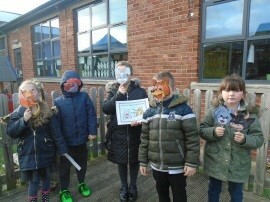 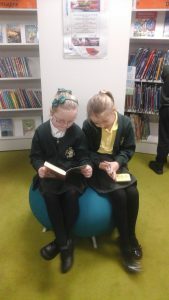 During the Spring term we went for a visit to Prestatyn library. 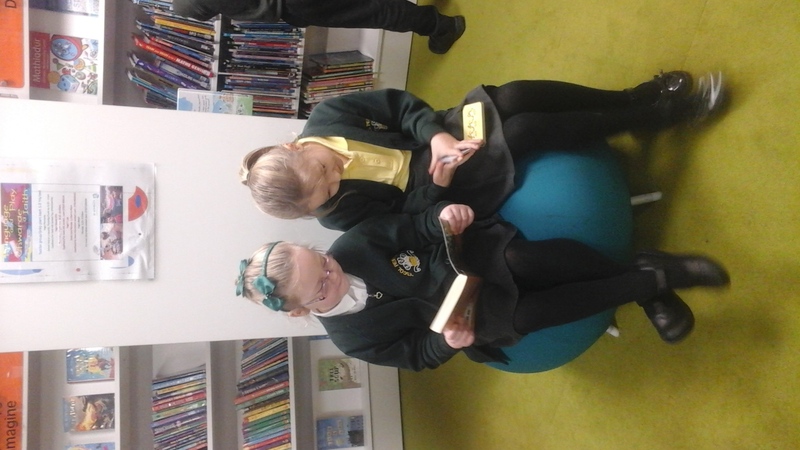 We had a lovely walk there, met the librarian and borrowed books to enjoy in school. Some of us looked for books by Nick Sharratt who we were learning about back in school. 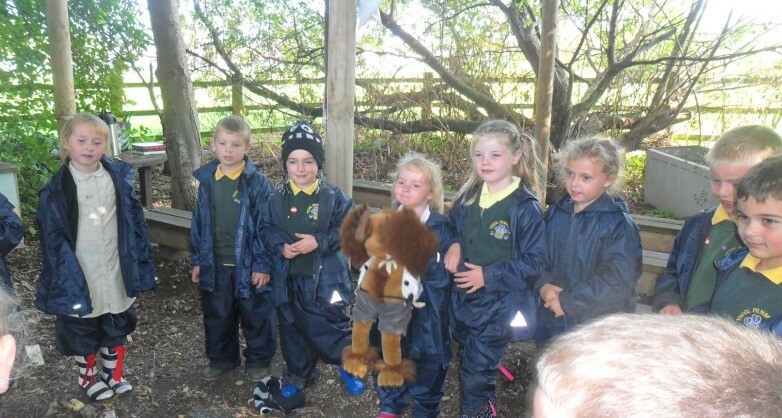 We even tweeted him to tell him all about our work! We also enjoyed a topic on ‘Our digital world’ and found out all about the inventor of Lego Ole Kirk Christiansen. 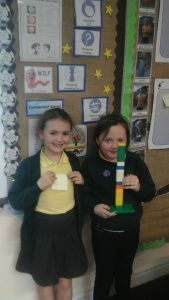 Our teachers made us buy the bricks, so when we made a model we had to work out how much it cost! 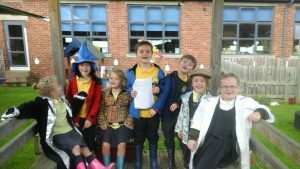 During the Autumn Term we celebrated International day by finding out all about Wales and France. 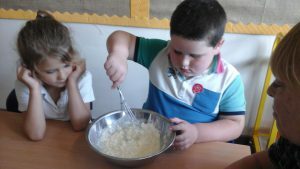 We made traditional food, found out about each countries’ football team and designed kits. 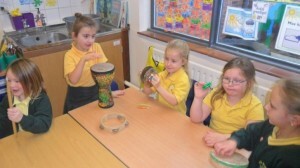 We also listened to traditional music and watched and copied traditional dances. 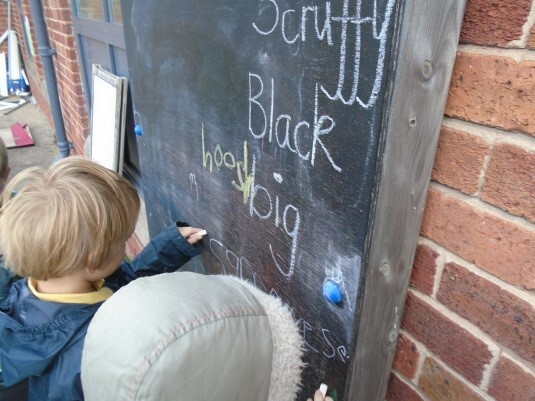 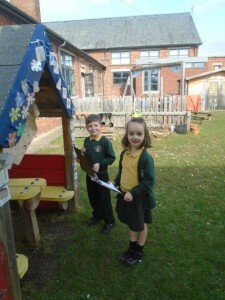 We had lots of fun outside on the stage writing our own scripts for simple plays. We chose costumes and props, and took turns performing and being the audience. 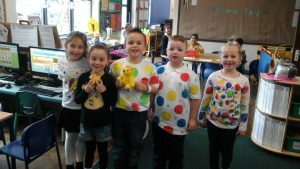 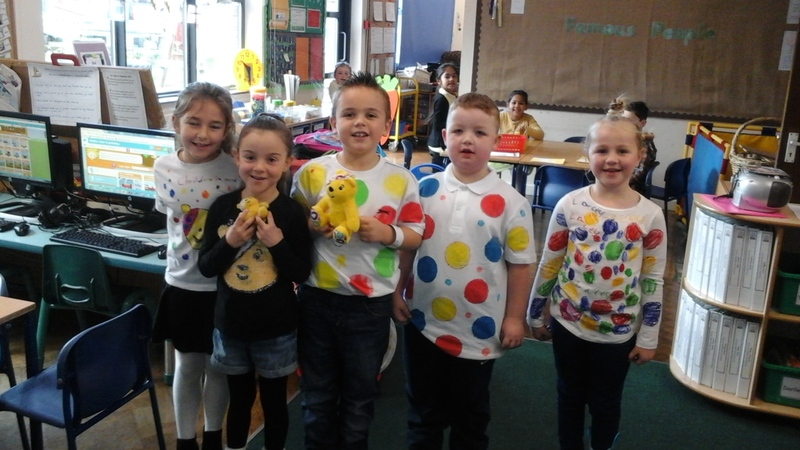 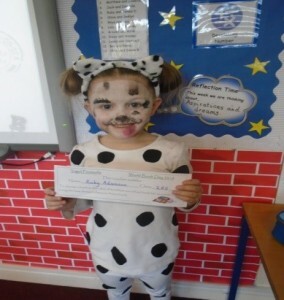 Need appeal was supported by pupils in year 2 and most of us came to school covered in spots! 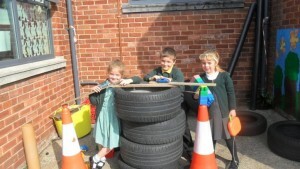 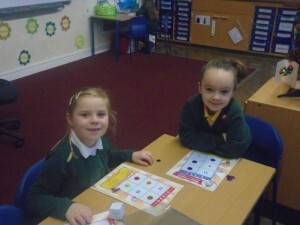 Learning and having fun in Year 2. 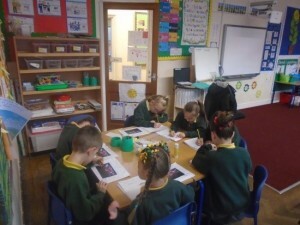 Developing our writing skills – We have been writing stories, diaries, posters, letters and instructions. 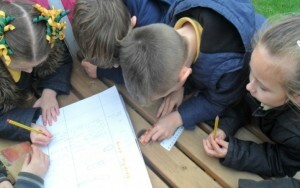 Learning in the outdoor classroom. 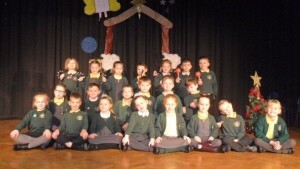 Finding right angles and acting out stories on the stage. 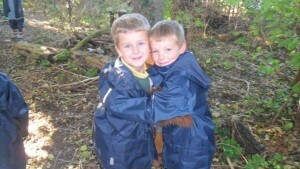 Having great fun in the Forest with Miss Hammond and Mrs Magistro. 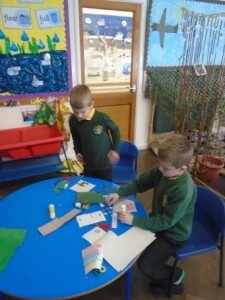 Finding out about different artists and using different materials to recreate their work. 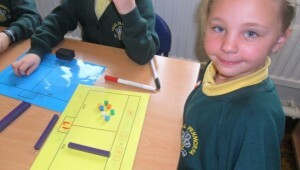 Learning maths in practical ways. 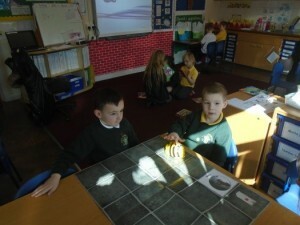 Bee-bot and games on HWB helps us to understand 1/2 and 1/4 turns. 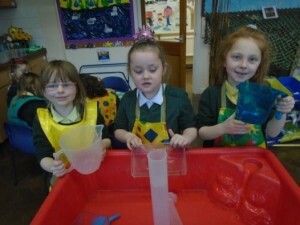 Using the water tray to estimate amounts and measure using litres and millilitres. 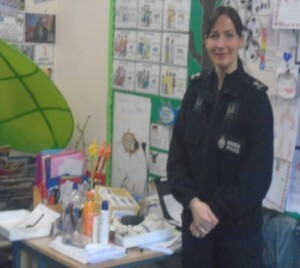 PC Brown teaching about good and bad medicines. 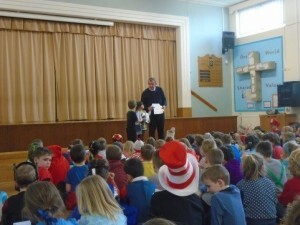 Sharing our love of stories on World Book Day and telling Mr Edwards about our fun day during our special service. 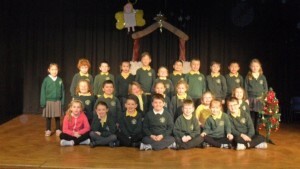 Jesus Stories told by actin our stories in service. 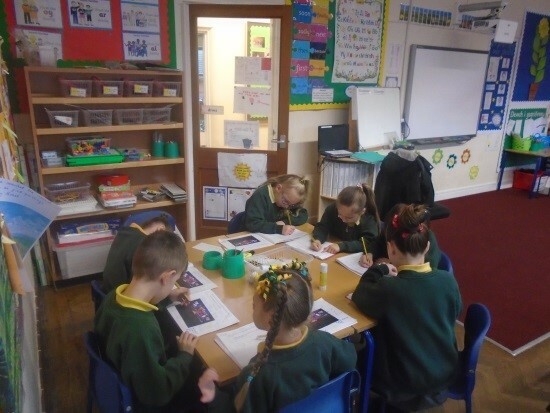 Learning about where we live, Europe and the wider world. 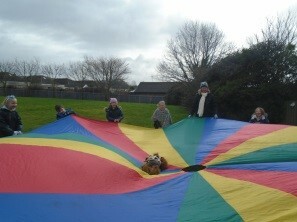 Keeping fit during P.E. 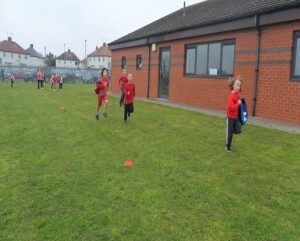 and enjoying Sports Relief. 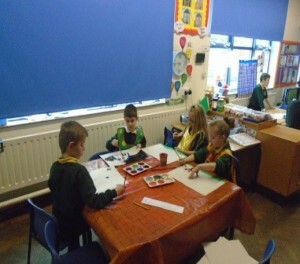 Another busy half term in Year 2! Merry Christmas Everyone, Nadolig Lawen! It was lovely to perform for our families in our Christmas Carol Service. Measuring and writing adjectives in the outdoor classroom. 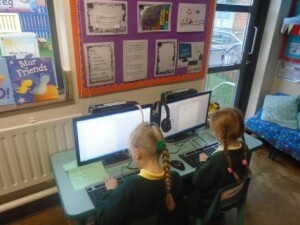 Practicing our ICT skills….typing lists, researching famous people, playing maths and language games. Developing our maths and language skills in all areas of the classroom. 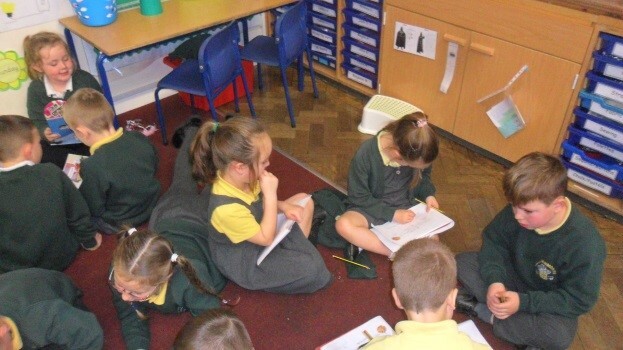 What a busy half term in Year 2! 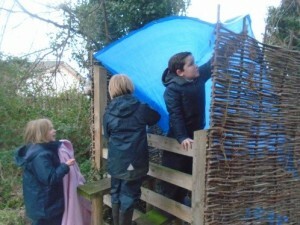 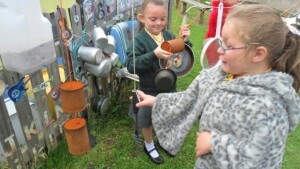 We have been exploring our outdoor classroom. 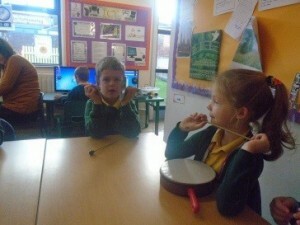 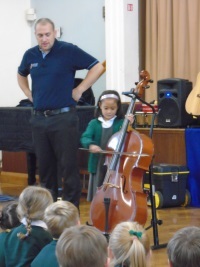 Learning about sound and instruments with Key Strings. 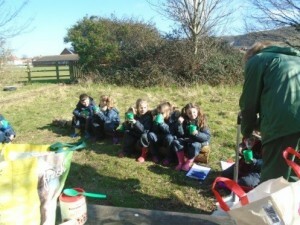 We had had fun in Forest School. 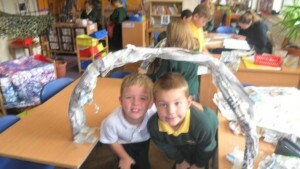 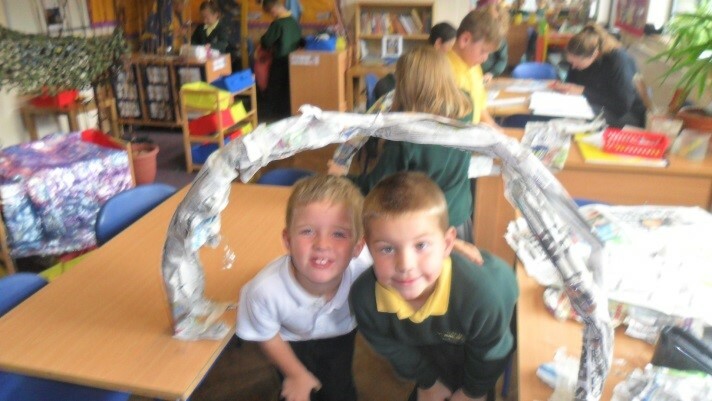 After researching bridges designed by Thomas Telford and Robert Stephenson we built our own bridges. 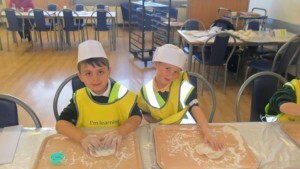 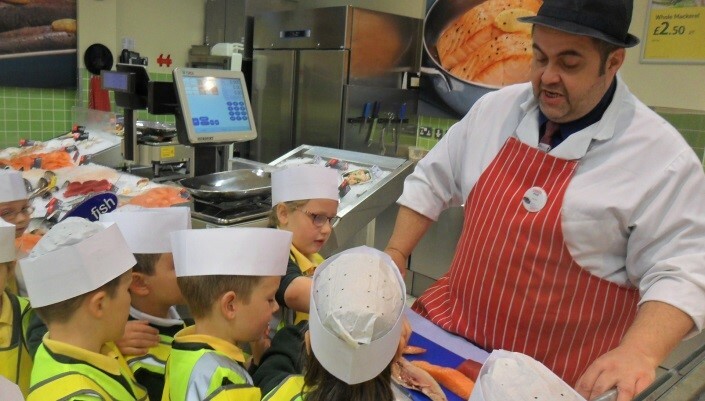 We had a visit to Tesco to learn about the process of making bread and about the jobs of people who work there. 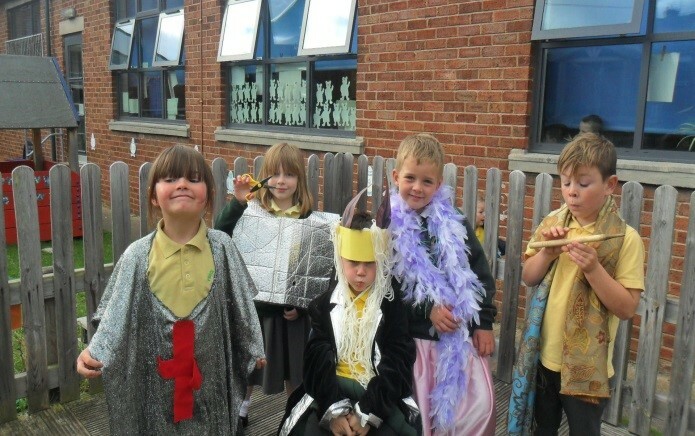 We have been acting out the Welsh tale ‘King March’ on the outdoor stage. 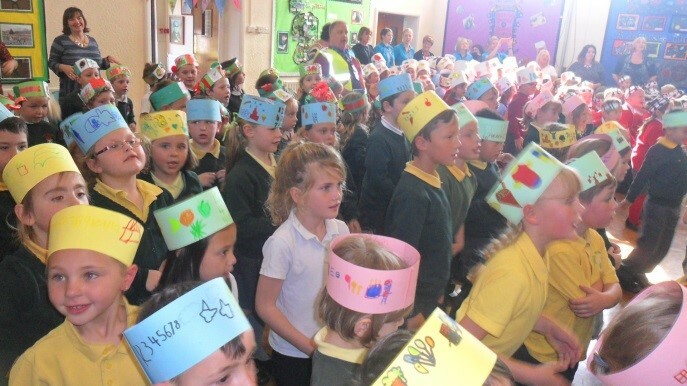 We have been celebrating Cymraeg with Martin Geraint at the annual Jambori. We had a visit from the dentist reaching us about the importance of looking after our teeth.